"Strangers become friends, and friends become family"
Francesca Thayer owns an art gallery for emerging artists in NY together with her lawyer boyfriend Todd and later their relationship falling apart as Todd was already tired with bohemian lifestyle. Her art business also effected but lucky her dad willing to invest but the house they bought and lived in is full of leaks and in need of total restoration and Todd wanted to sell but not for Francesca. As an owner of the art gallery she cant possibly manage the mortgage alone so she is forced to do one thing she never imagined that is by renting 3 of her room to 3 tenants but her family have doubts as she is the type of a person who is an extremely private person. First arrive Eileen Flanders a young attractive school teacher, then come Chris Harley a graphic designer and a divorced father of 8 yrs boy Ian. Last to arrive is Mayra Davis, 59 from Vermont- a famous cookery author who is helping to rebuild her life after the death of her husband whom died due to brain tumor. The strangers in her house has made a new world for Francesca and that her accidental tenants have become the most important people in her life. Over the years together, the house at 44 Charles Street fills with laughter, heartbreak and hope. Mayra character was an awesome friend who loves to bake and more like a mother and despite her refused to find another man, she fall for her French friend who is also a chef while Chris is a very responsible and loving father and Eileen a naive girl who is too addicted to find partner through internet and cost her life at the end. The sad part of the story is when Eileen was murdered by the guy whom she dated 3 days before Francesca come back from her 3 weeks vacation and Chris who skipped his long vacation and came back to console her. Mayra whom was on holiday being informed as Francesca have considered them part of her life rather than her own family yet she have a nice and good stepmother Avery. Francesca had to sell the house to a couple who love the house as she did, at last! 44th Charles Street was a chapter of her life, the chapter that was closed and she on the new chapter of her life with Chris and Ian. Such an interesting and heart whelming story that touches everyone who would read this book. As usual Danielle Steel never fails in all her books that I have read. Kisah menarik mengenai persahabatan, kekeluargaan dan kasih sayang. Ini antara buku yang menarik untuk dibaca karya novelis kegemaran Umi yang amat dikenali, Danielle Steel. 44th Charles Street antara karya terbaik yang telah Umi baca pada tahun 2015 dan kini diulangbaca untuk cabaran Goodreads. Kisah cinta yang tiba tanpa diduga walau tanpa diminta. 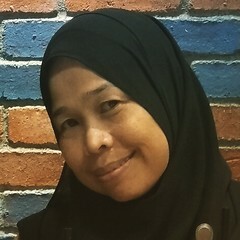 Manusia berubah tanpa paksaan untuk berubah kerana takdir merubah segalanya..hehe macam lagu Fauziah Latiff pulak. 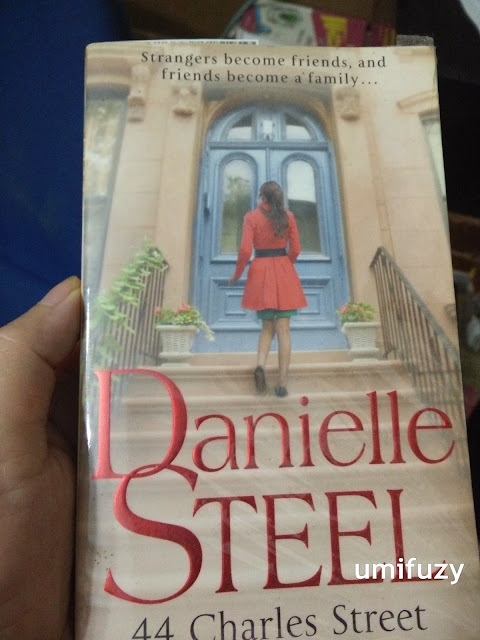 mmg best MAMAPP lebih2 lagi hasil tangan Danielle Steele nii.. Thanks Ana..hehe..membaca dh lama Ana cuma skrg ni buat ada kesempatan untuk buat entri..
wahh..fov author saya jugak ni..tiap kali baca buku2 dia, mesti feeling abis..boleh cari ni..tq kak fuzy for sharing..
memang betul..so far akk dah baca lebih dari 5 naskah dari DS ni..memang best..
Sha suka karya beliau.. Nanti nak baca balik dan rekod di Goodreads.. Boleh keep track..